Interior design is not rocket science, but it does help to have an artistic foundation to draw upon. Creating an ideal living space is a combination of design sense and self-knowledge. If you’ve done your research and know what you like, half the battle is already won. Too many people don’t put any thought into what goes where in their home and why. The other half of design can easily be cheated with a few hacks that will help you pull your space together aesthetically; take a look at some of our favorites. Keeping your sofa and other furniture items in neutral tones will both save you money and keep your design aesthetic from going out of style. Grays, tans and whites are good color choices since they can be paired with almost anything. Of course, you shouldn’t leave it at that. Dress up neutral pieces with colorful and interesting throw pillows, blankets and surrounding accents, which can be changed out periodically to update the design. While this mostly applies to the living room, conversation areas can be created in any room of your home. Place seating facing each other so people can sit down and chat easily. 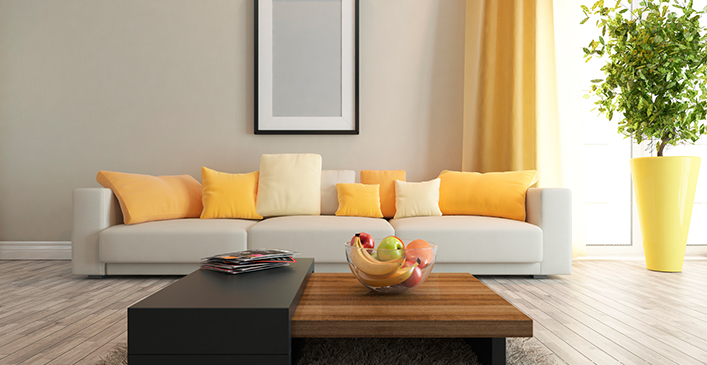 Make a conversation pit by using a rounded sofa or surround a low coffee table with cushions and poufs. 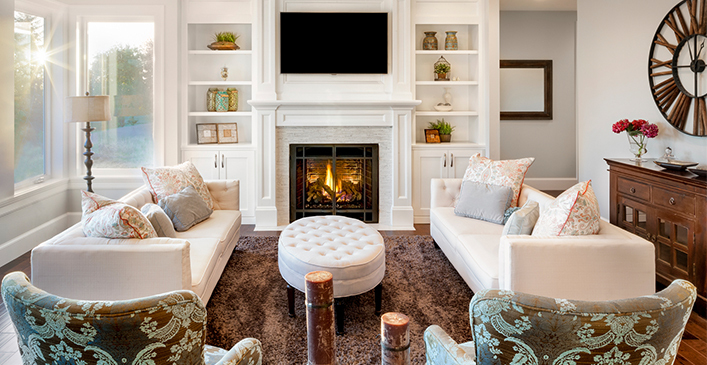 Attract further chatting in a room by adding inviting, soft textures that are conducive to comfort. A nice fleece blanket or down pillow can make all the difference in making your guests feel right at home. A neat and tidy living space means a neat and tidy mind. Invest in yourself by developing an organizational system that works for you and your family. Use clear plastic totes for storage so you can see what’s in them when storing in the garage or other storage space. 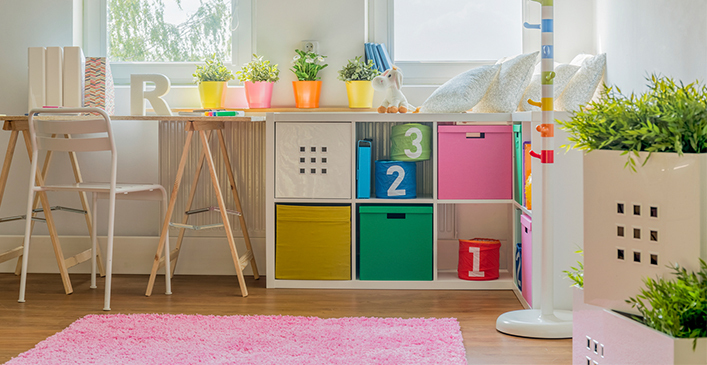 Make sure everything has a ‘home’ or place, which is especially useful when you have children. Utilize an effective filing system and don’t let paperwork overrun your work space. Most importantly, frequently de-clutter your space to make room for new energy and ideas.